Due to the new Basel III regulations, Austrian banks will need a much stronger capital base by 2019. The estimation is € 15 billion to € 18 billion. 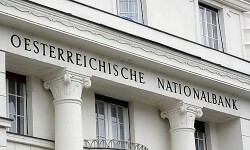 The Austrian National Bank (OeNB) starts from the premise of additional equity requirements of € 18 billion for the banks. First, the "hard" equity (Core Tier 1) has to be replaced, amounting to about € 10 billion, and besides, the government aid for a volume of € 5.4 billion has also to be replaced.